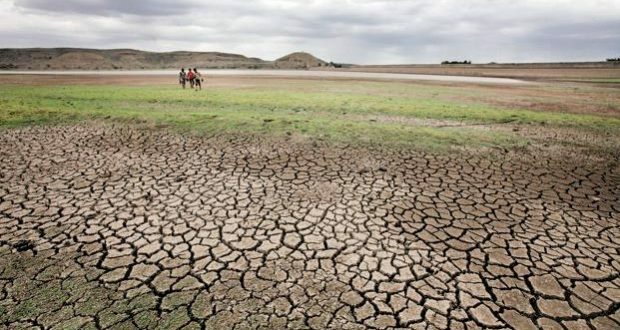 Bhubaneswar: 1/11/18:As many as nine districts of Odisha have been declared drought-affected by the state government with an overall crop loss of 33 per cent. The districts are Bargarh, Balangir, Deogarh, Jharsuguda, Kalahandi, Nabarangpur, Nuapada, Sambalpur and Sundargarh. The crop loss has been sustained due to moisture stress, official sources said. As per reports received from the district Collectors through the Director, Agriculture & Food Production, 233173.8 hectares of crop land in 5633 villages under 1186 Gram Panchayats of 66 Blocks and 16 ULBs of the nine districts have suffered crop loss. As per analysis, there is rainfall deviation of 39% to 59% (severe deficit) in 5 Blocks namely, Muribahal, Loisinga & Belapada of Balangir District and 2 Blocks namely, Sundargarh Sadar & Tangarapalli of Sundargarh District. Another 30 Blocks in 12 Districts experienced deficit rainfall (shortfall between 19% and 39%). 100 Blocks in 19 districts have experienced dry spell period of continuous three weeks and more. The state government has declared drought of moderate/severe natures in these areas and authorized the collectors to undertake relief measures.